Good morning! 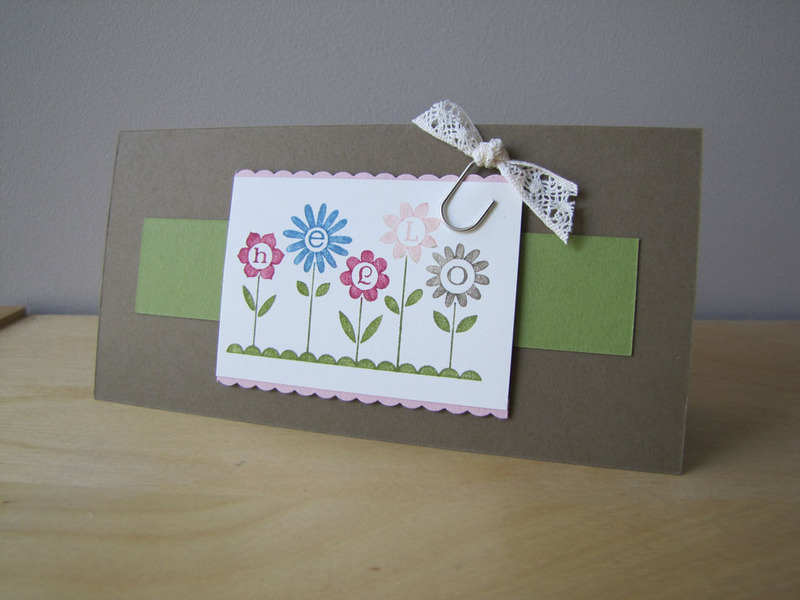 As mentioned yesterday, I have another Hello Blossoms card to share with you today. This one was a team effort, created by both Winona Semler and Donna Wizniuk. I LOVE it! It's so simple but so beautiful. Markers are definitely a must with this stamp. It looks so amazing with the flowers in a variety of colors. The little clip with the knot of crochet trim just makes the card - don't you think? !